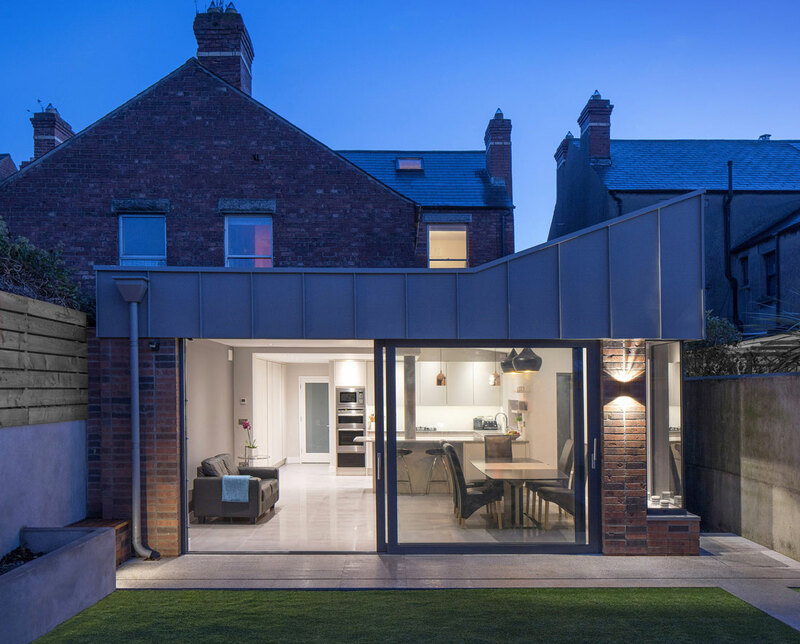 Full refurbishment and internal alterations to an existing semi-detached house, Glasnevin, Dublin 9. 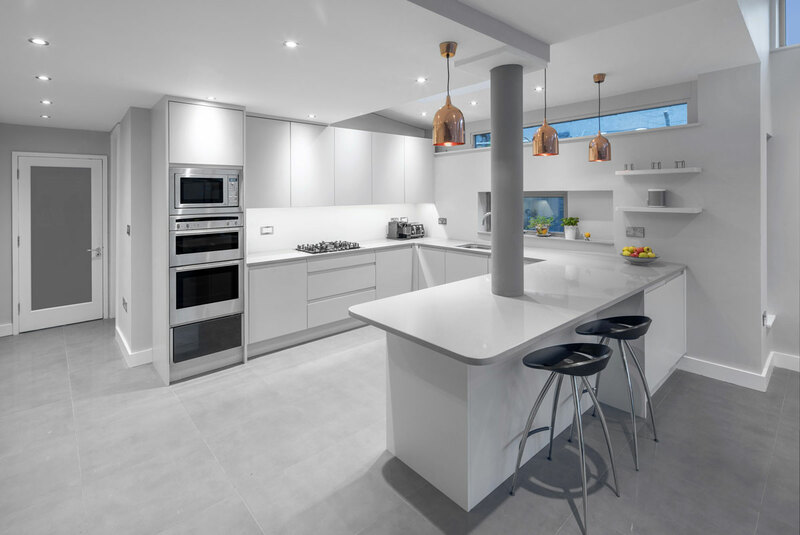 The design included reconfiguration of a recently constructed extension which no longer met client requirements and redesign of existing bathroom. The entire roof form is designed as a "light catcher" to catch the only available sunlight to the side of the house. The top section is zinc clad which sits on stack bond bricks below. Full height sliding screens were used to form a connection to the existing rear garden.